Corboy & Demetrio partner Francis Patrick Murphy has been selected to the Lawdragon 500 Leading Lawyers in America for 2013-2014. 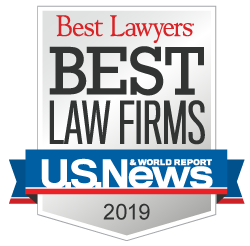 Lawdragon calls him, “the lawyer of choice for injured Chicagoans who need a champion.” It is the fifth consecutive year that Murphy has been named to the list. Patrick regularly handles complex personal injury and wrongful death cases involving aviation negligence, construction negligence, product liability, premises liability, including porch and deck collapses, and claims resulting from railroad, automobile, and other vehicular negligence. He has more than fifty settlements and verdicts of $1 million or more. Among his many accomplishments is a $7.5 million settlement that was secured on behalf of his client, a nationally renowned oboist from the Chicago Lyric Opera and Grant Park Symphony, whose musical career was ended when she was struck by a Chicago Transit Authority bus while crossing a Chicago street. Patrick is nationally renowned in porch and deck collapse cases due to his extensive experience and numerous successes. Patrick represented several victims of the 2003 Lincoln Park porch collapse and was instrumental in brokering a global settlement of $16.6 million. With his Lawdragon 500 designation, Patrick joins Thomas A. Demetrio, a founding partner of Corboy & Demetrio. This is the eighth consecutive year Tom was named to the elite list, which also includes every current U.S. Supreme Court Justice. Lawdragon selects lawyers from a combination of submissions from law firms, votes and comments through Lawdragon’s online voting form and its own editorial research.